Organisations are continually trying to define the “office of the future”. Activity based working and flexible working environments are terms that are becoming increasingly popular to define the next generation workspace. With the mobility enablement of modern networks and BYOD acceptance, users are no longer tied to a physical space, and therefore organisations can start to think differently about how people work. Providing for a range of different workspaces from task oriented areas, to quiet rooms, collaboration teamwork spaces to multi-media collaboration suites and rooms. In this session, we’ll explore a combination of collaboration solution components in conjunction with meeting space management technology with Smart and Connected Spaces, video enablement and UC services working together to deliver an environment aimed at improving productivity and enabling Activity Based Working with Collaboration – both physically and virtually. The aim to build an architecture that will enable "Future ways of Working"
Vanessa has been working in the Networking and IT&T industry for over 20 years, she joined Cisco Systems in late 2000 as a Systems Engineer (SE). For over a decade Vanessa has specialised in architecting, designing and implementing Unified Communications and Collaboration and considered a trusted advisor by many global customers. She is currently the Collaboration Lead Architect for the Asia-Pacific Region from her base in Sydney Australia. Vanessa has presented on Collaboration and Networking at many IT&T events and conferences including over 20 Cisco Live - Networkers internationally including in Australia, USA, Europe, Korea, and the Middle East and has been recognised as a Distinguished Speaker. She has also presented at over 30 industry and external events such as Microsoft TechEd, Wainhouse Summit, QuestNet and Citrix Technology Showcase. Vanessa holds a Bachelor of information Science Honours degree from the University of Newcastle and has achieved Cisco Certified Internetworking Expert (CCIE) Voice. She has a special interest on flexible and activity based working and the future of the workplace. In Australia, the acute health care sector is a data rich environment. However, synthesizing this data into useful Information continues to be a challenge. One of the issues on this space is a lack of data governance. While information relating to cancer management is a crucial asset for the health sector, it is underutilized at present. What is the rationale? Information being mined and analyzed need to be a significant quality so that the power of predictive and visual analytics can be leveraged for managing patients by health organisations. In this panel discussion, we will present real scenarios where predictive analytics have been used successfully for harnessing health information relating to cancer care. A brief overview of 'data concierge' function that offers a framework for organisations in analyzing the data is presented. Subsequently, we explore how predictive and visual analytics can be used to build new models of care for cancer management in the Australian context. We discuss pathways on how to set up and environment from data governance and analytics which will provide insights and information for the delivery of good information to this acute health care sector. Real scenarios, tools and methodologies will be reviewed. Overall, we aim to enhance the understanding on how analytics can help address current issues to achieve better information outcomes in Cancer Care, within the Australian context. Katerina is currently working as a Director, Life Sciences and Health Care Industry, Consulting, Deloitte in Melbourne. She is a Board Member of Fight Cancer Foundation. She is a proven and respected senior and change management professional with experience extending across IT, Patient and and Clinical Management, research and developing road maps for innovative organisational change. Majority of projects she has driven have been utilised as industry benchmarks and experiencing continual growth and nationwide recognition. Katerina is a widely respected for a breadth and depth of her knowledge of best business practices and information management in Health Care. 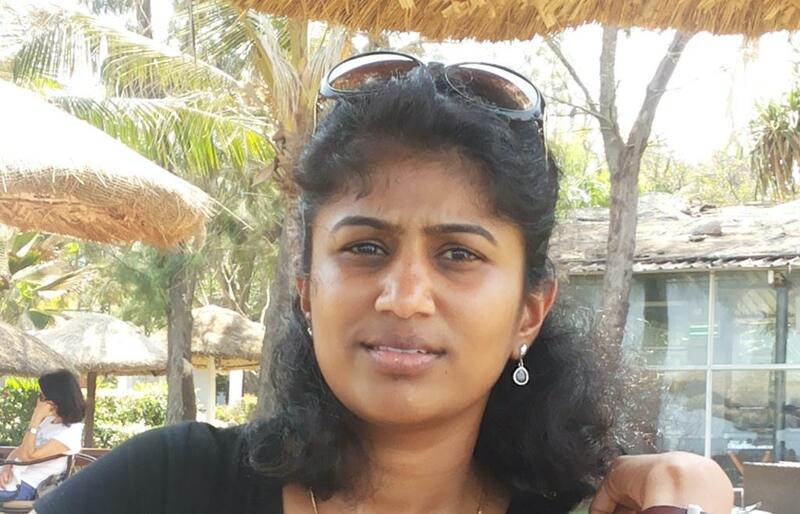 Chandana is a Faculty member of Deakin University, Australia in the area of Information and Business Analytics. She hold degrees in Computer Science (India), MBA (Australia), MbusComp (by research) from Australia. Prior to becoming an academic, she had a successful career in the Information Technology Sector with organisations such as IBM Global, in roles ranging from Project Manger to Director and VP. She currently teaches Project Management and manages Work Integrated Learning (Internships). She is an avid researcher with over 60 peer reviewed publications and is on the editorial board of several journals. Her current research focuses on social media & e-governance, visual analytics for health and media industries, and development of women in the ICT sector. Women in ICT - The global failure of intervention programs. IT’s just bad business. A controversial look at significant girls and women in ICT programs and projects; and their spectacular global failure to attract and retain girls to technology studies and careers. The skills shortage debate suggests increased hiring of women into technology careers as a solution. Given the spectacular global failure. Will this work? Why does it matter? Why has there been a failure? What have we been doing wrong? Why is it bad business? What can we do about it or is it too late? What are the real reasons/causes behind this? In this reality based probing session these questions will be investigated along with lessons of things that have worked and suggestions for the future. Sonja Bernhardt OAM is an Australian information technology industry identity extensively involved in mentoring and role model programs for women in IT. She was founder and Inaugural President of WiT (Women in Technology) in Queensland in 1997 and co founder and Inaugural President of AWISE (Australian Women in IT, Science and Engineering) in 2005, not for profit industry groups that run community based projects and programs specifically to encourage women and girls into technology careers. In addition, Bernhardt is responsible for a number of initiatives to raise the profile of women in technology and break perceptions of technology careers as "nerdy" or "male", such as the 2007 Screen Goddess IT Calendar, IT's Million $ Babes Awards and Doing IT Around the World. For the last 2 years Entrepreneurship has been a hot topic in Egypt, similar to many parts of the world. As a very young ecosystem we are still facing many challenges, including funding, quality of innovation, and support systems. Many players are trying to come together and make a difference, including local universities, incubators and 2-3 Venture capital firms that are trying to move the industry. Yet, the challenges are many, and the model of Silicon Valley might not be the easiest answer to follow. Should we try sending entrepreneurs to the valley, or building local support structures or all of the above? How can we all as industry, NGOs, Incubators, Academia… work together more while attending to local issues and motivating entrepreneurs to work on local problems? Hanan leads business development support for a leading Egyptian technology investments firm. She focuses on building strategic partnerships with global technology players and supporting local incubated start-ups. She is an active player in the Egyptian Startup ecosystem, as a mentor, supporter and blogger. Pragati is the Chief Technology Evangelist for PayPal and the author of the book "Android Application Security Essentials". She has more than 14 years of experience in technology domains like mobile operating systems, mobile security, payments, and commerce. From starting as a platform security engineer with Motorola, to leading mobile developer relations in North America, she has extensive product and business development experience. Pragati has dual masters in Computer Science and has taught and trained computer science students at universities around the world. She is a recognized speaker at international technology events. This talk describes the easy integration and benefits of using a graphical debugging tool, Eventlog. Eventlog provides graphical view of the system level information. This helps to debug complex issues and to monitor system performance in the target (in our case the target is inkjet printers). It provides the actual interaction between tasks, interrupts and Operating system in a timeline. For any system, this can be leveraged and enabled with lesser effort. I am a Senior Software Engineer working with Hewlett Packard for around 8 years. My expertise is in the Embedded system domain. I have worked in various micro-controllers, WIFI protocols, InkJet algorithms, User Interface, device drivers, etc. I always welcome challenging tasks as it gives me a great interest and satisfaction. My interest area apart from work is Playing Badminton & traveling. I am working in Hewlett Packard for the past 8 years as an expert engineer and have expertise mostly in embedded domain. I have B.E in Electronics and communication Engineering. My area of interest involved solving complex problems in embedded domain and debugging. Recently, I have started working on embedded linux and contributing mostly in kernel bring-up and driver development. Outside work, I like to travel and meet new people. Why Too Few Women at the Top? The Leaky Leadership Pipeline. As we climb the leadership ladder, we constantly go through critical career passages of managing self, then others, then managing managers, managing functions, then managing business and then managing an enterprise organization. In the whole transition process, do women find it hard to balance at the top? Women are most often challenged to perform in unfamiliar, hostile yet business critical environments. They need to be vultures among vultures and sharks among sharks. In these conditions, emotional quotient holds them back and they find it challenging to navigate political environment – attack, defend, pace and retreat. The work environment often lacks enough women mentors due to too few women execs and absence of networking channels like men. Women do succumb to pressure and fizzle out when dealing with elements of risk, pre-conception, deception and perception in very large business environments while holding crucial positions up the ladder. This panel of experienced female leaders in tech will discuss the leaky pipeline to executive leadership and their thoughts on how wome can adapt and industry can create institutional change to retain and advance women. Latha Uttam, Dell (Moderator), has 16 years of industry experience and currently works in the system management group of Dell Enterprise servers. Responsible for delivery of system management software, storage devices and networking devices as part of the Enterprise servers and solutions. She has a Bachelor’s degree in Electronics and Communication engineering and very passionate about women leadership development. She is closely associated with WISE (Women in search of excellence), a community for women in Dell. She has also been active in GHC for the last 3 years through panel sessions, workshops, committee member and also featured in “3 generations of women in IT” movie clip for GHC 2011. This is her first with Global Tech women and thoroughly excited to be part of the great initiative for women. Pallavi is at present the Department Head of the Information Development Group for Carrier Software and Core Network Product Business Unit in Huawei. Prior to this she has worked as an Engineering Program Manager for Engineering and Non Engineering Projects, in NetApp, and before that in the information engineering domain in Citrix, LG, Aditi Technologies and Sonata Software Ltd. Her experience covers Information Engineering, Project Management, Program Management and People Management. She is passionate about leadership coaching, managing professional growth of her people. She finds motivation in writing, reading, traveling, photography and motorcycling. Sushma heads the CTO Mobile platform group at Intuit India which is responsible for designing leading-edge services and helping product offering teams understand how to use new technologies to improve existing mobile products. With over 14 years of Engineering experience in the Software Industry, she recently won the annual leadership award and Founder’s Innovation award. She chairs the Technical Women@Intuit India whose primary goal is build a diverse workforce and nurture and support technical talent. Prior to Intuit, she spent around 10 years at Sun Microsystems in the Server software division at Santa Clara and Bangalore. She has a Bachelor’s degree from Goa University and a Masters in Computer Science from California State university. Uma is currently Principal Scientist at Philips Research where she leads a group on minimally invasive techniques for cancer therapy. Prior to Philips, she held roles of technical leadership on embedded security at Infineon technologies and automtotive research at Daimler Chrysler Research. She has more than 15 years of industry experience with expertise in product development involving interdisciplinary research. She holds a Ph.D. in image processing from the Indian Institute of Science and is passionate about science and technology and in the teaching of mathematics. Nothing can undermine the role of Release Engineering to get Releases out in today’s scenario of increasing complexity of the platforms on which todays systems run, and to ensure the plethora of moving pieces that must fit together seamlessly to guarantee the success and long-term value of a product or project. HP’s Web Print Platform (WPP) caters to printing content received via emails, scheduled prints, or printing directly from mobile phones. This paper describes a Release Process that was grown organically in an agile landscape which covers the basic agile principles of time-boxed nature, maintain backlog, integrate often, build and deliver often. Ruby Tomar is an action oriented, decisive and results focused Program and Project Manager with 16 years of experience in the IT systems. With three patents filed and eight disclosures to her credit, Ruby is process and technology savvy with a strong inclination towards innovation and process optimization. She has worked in automotive, consumer, networking, and telecommunications industries and is an avid reader of technical and management research. She has an MS degree in Software Systems from BITS, India and is currently working as a Program Manager at HP. The misconception that the printing kills trees makes many people feel very conservative about printing. Such population is more worried about the media (trees) and not the printing cost. When multiple documents are to be printed, each of which occupies only a portion of a sheet, it gives an impression to such users that a lot of media is going unused / wasted. Here we talk about a technical solution to enable using the media more efficiently while printing multiple documents which the user wants to use for a specific purpose. Shinoj Bhaskaran is a result oriented Senior Project Manager with 16 years of experience in the field of network management systems and embedded systems. Shinoj has five patents filed and eight disclosures published. A Green Belt holder and he excels in strategic thinking and putting his ideas into action. Consistent and hardworking, he provides strong technical leadership to all those who work with him. His interests include reading, mentoring and networking. Shinoj is currently working as a Senior Project Manager at HP. Women in ICT Leadership - Are We Nearly There? Women are 'nearly there' in what they believe is 'required' for being a successful leader vis-a-vis their assessment of where they are currently. This knowledge emerges from the research survey conducted by three women professionals (Equal Professionals in IT) this year, based on participants from multiple organisations in the IT sectors of two countries - India and Australia with a multitude of ethnicities. The research probed on factors that inhibit or enable women rising into leadership positions. In this virtual panel session, the three core researchers will discuss the insights found to organisations, communities, male counterparts and society that inhibit and enable in their journey to leadership. We expect that the findings will add to existing research knowledge and help organizations address the inhibitors, to better enable women to rise to leadership positions. Renu is Vice President with Capgemini India and has 23 years work experience in IT, Consulting, and financial services. Prior to this she has held leadership roles in Citigroup, IBM, Satyam, KPMG.Her experience covers Large/Complex Delivery, Service Line & Sector leadership, IT Consulting, Supplier Governance and her key areas of expertise include Testing Services, Enterprise Applications, Infrastructure Services, Supply Chain Management. Renu holds BTech in Computer Science, and MS from Purdue University USA. She is an IBM Certified Senior PM (Delivery Project Executive Specialization). Renu has served on innovation council, Diversity Council, and has serviced on Mid/Sr track committee for GHC as well as a speaker since 2011. Arathi has spent 18 years in Quality consulting, Process enablement Delivery and Operational excellence and Setting up Quality Standards and Process assets for Product and Service companies. She currently works as a consultant in the capacity of ‘Quality-Lead Catalyst’ for Ricoh Innovations Pvt. Limited. Her tenure has been with Motorola, HP, LG Soft, ANZIT, MphasiS (an HP Company), on setting up Quality Methodologies and Concepts. She has extensive exposure to ISO9000, 6 Sigma, Lean, CMM, CMMI and Quality assurance and Innovation methodologies. She is passionate about building Innovation capability and culture, and is one of the Core Committee BSPIN Members in India. Process changes are complex and not for the faint of heart. They require strategy, investment, and tailored application to guarantee success. The Agile/Scrum methodology and its processes have hit mainstream across a variety of industries. Implementing Agile in your environment becomes even harder when it is misunderstood as an recipe or set of practices to be followed rather than a set of principles with numerous and varied applications. Coordinating people, process, and tool changes, which require thinking and behavioral adjustments, brings a level of complexity to any organization that requires a high investment but can reap great rewards. As more and more workplaces modify the Agile/Scrum methodology to suit their business drivers and requirements, confusion about what Agile “really is” gives us pause. This panel will discuss effective ways of leveraging this development methodology to increase collaboration, keeping into account, cultural differences that we come across in our diverse workplaces. Aakriti Agarwal worked in technology at Deutsche Bank at Singapore for around 4 years. She graduated with a Bachelors degree in Computer Engineering from Nanyang Technological University and has since worked in a variety of roles ranging from business analysis and application development to project management and social media evangelism. She has been leveraging Agile development methodologies for the past 3 years in managing technical projects. In addition, most of her projects stretched over 2-3 different timezones, enabling her to learn the art of collaborating virtually. She has just recently moved to the Bay Area and is looking to get more involved with various initiatives for women in tech here. Vidya Srinivasan graduated with her Masters in Computer Science from North Carolina State University, and joined Microsoft as a Program Manager in 2012. She was a part of the Enterprise Content Management team in SharePoint, and later joined the Yammer team. Vidya now works on Enterprise Social in one of the most agile teams at Microsoft, shipping new features on a weekly basis. She has been driving projects that require collaboration across different teams located in different time zones. Having leveraged both the traditional waterfall methodologies as well the agile methodologies, she is looking forward to sharing her perspectives about collaborating virtually in an agile world. Vidya also holds a professional degree in Indian classical music and gives performances in the Seattle area. She is an active volunteer with several organizations that work towards women’s empowerment and promoting education to underprivileged children. She takes keen interest in women in technology initiatives and runs mentoring programs within Microsoft. company, a proud Boxer, and currently head of Engineering Program Management and Content for Box Engineering. Her team is leading the Scrum@Box initiative to continuously improve the Agile / Scrum process at Box. Prior to joining Box, Sophia was a Sr. Manager of Program Management, and Sr. Principal Program Manager at Vontu, Inc (now part of Symantec Corp) where she led agile enablement efforts. She is a Certified Scrum Master, Certified Product Owner, and a big believer that practical Agile practice is essential for successful Agile enablements. 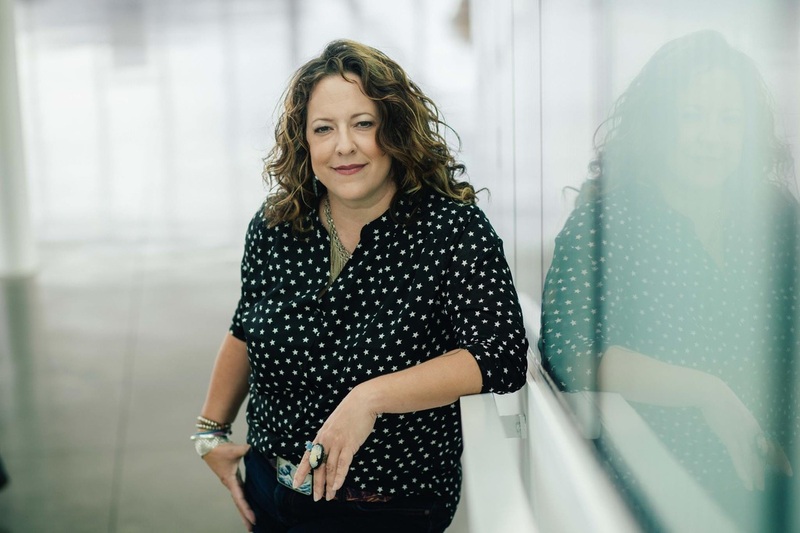 Tiffany Lentz, a VP and General Manager is proudly employed at ThoughtWorks, a global IT services firm focused on end-to-end software delivery. For the last 10 years, Tiffany has worked extensively as a Principal Consultant and Program Manager, for large clients in the US, Canada, and China, delivering solutions for both disparate system delivery projects and agile enablement and organizational transformation efforts to incorporate and enhance efficiency and delivery processes. She is an author, mentor, coach and trainer of agile methodologies, processes, and practices. Tiffany is the author of Iteration Management Chapter in the ThoughtWorks anthology book and believes that the Iteration Manager's job is to build a well-oil delivery machine. Chrissie Cui is a DevOps engineer from VMware Cambridge. 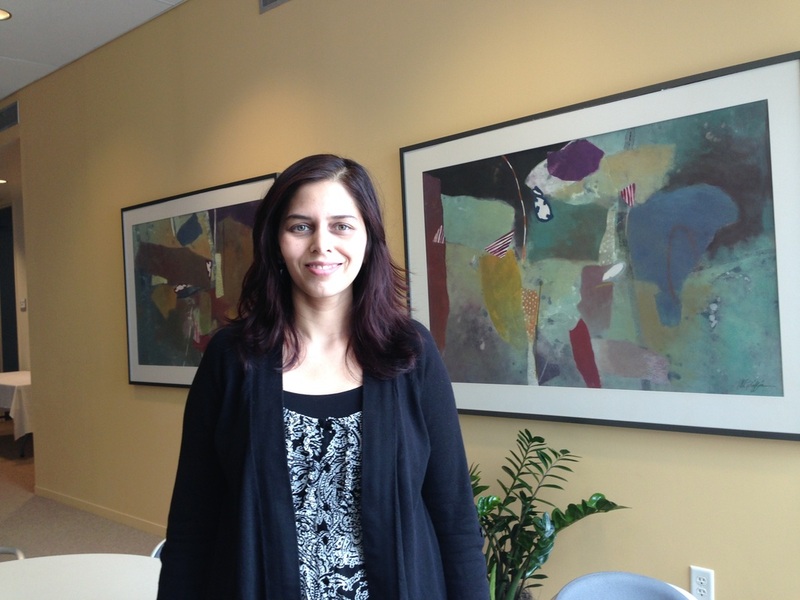 Before joining VMware, she was a C++ developer working for the Mathworks in Natick MA. Chrissie got her master degree in Computer Engineering from University of Maryland, College Park in 2010. She is a strong advocate of agile process. And the team she is currently working with is actively practicing agile process. She has the first hand experiences of agile and scrum from an individual contributor perspective. In this talk, three Turkish Women in Computing founders discuss why more women choose to pursue Computing careers in Turkey in contrast to the declining trend in US. They will be discussing their hypothesis, along with solid data pertaining to national and specific university based placement statistics in computing programs and STEM. They will also discuss research planned that validate their hypothesis based on existing research. Umit Yalcinalp is a Software Architect with more than 20 years of industry experience in various leadership roles spanning from product development to standards architecture in Web, Java, XML and Cloud Infrastructure. She is an author of many specifications, a book on SOA, and she frequently speaks at conferences. She is currently a visiting professor at Mills College. She is a founder of Turkish Women in Computing and has a Ph.D. from Case Western Reserve University. Gokcen Cilingir is currently working at Intel as a Senior Software Engineer. She received PhD degree in Computer Science from Washington State University. She received her M.Sc and B.Sc degrees in Computer Engineering from Middle East Technical University, Ankara, Turkey. Gokcen' s technical interests include voice biometrics, applied machine learning and bioinformatics. She is one of the founding members of Turkish Women in Computing (TWIC), a Systers community affiliated with ABI. Gulustan Dogan works at NetApp as a software engineer. She has received PhD degree in Computer Science from City University of New York. She also worked as an adjunct faculty member in Brooklyn College. She received her B.S. degree in Computer Engineering from Middle East Technical University, Ankara, Turkey. Kinsey is the TA/Developer for gSchool, organizer for Women Who Code Colorado, Railsbridge Outreach coordinator and an open source contributor. Kinsey has spoken at many Ruby conferences including RubyConf and RubyConf Australia and loves encouraging other people to get into programming. She is also the co-founder of Kubmo and is passionate about working in developing countries. Men and Women Building Effective Partnership in the Workplace” in which both men and women gain understanding of themselves and each other and skills to work effectively with differences increasing productivity, innovation and their own and others’ promotability. On this panel, women who have taken the Calling Out the Brilliance of Women Workshop share their stories of discovering their own brilliance, they had been taking and forwarding their careers and company successes. New insights can replace misinterpretation and bias in both women’s and men’s misperceptions to make sure that everyone recognizes and has skills to benefit from the contribution women make. Before moving to San Jose, CA Amani Albakry has worked as a General Director in Alalamiah Computer and Technology Inc., KSA. In 2010 Amani got her MPA with honors from Notre Dame De Namur University. 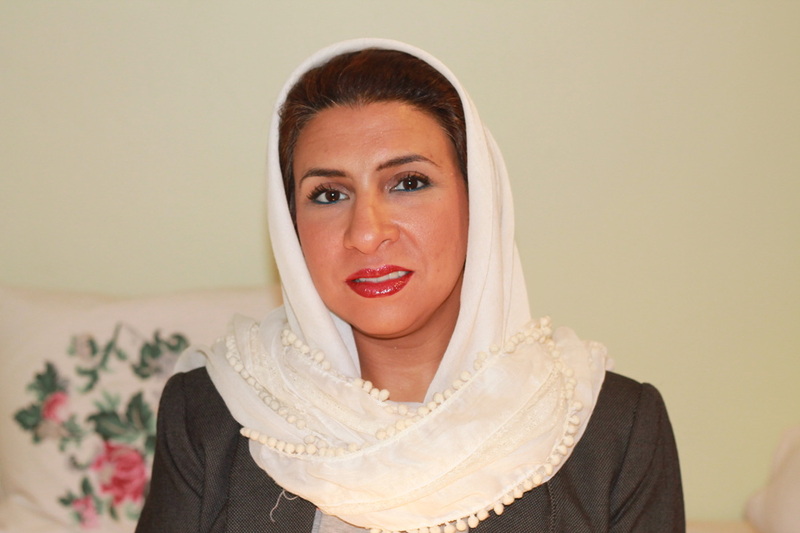 Currently, Mrs. Albakry is working to get her Doctorate degree from University of San Francisco (USF). Shradha recently completed her MS degree in Engineering Management from Santa Clara University. She proudly graduated with distinction while working and raising a family. She has over 10 years of professional experience working across engineering, sales, and marketing in both the Technical and Consumer Goods industries. She is passionate about education, mindfulness, and social responsibility. In her spare time, you can find her on her yoga mat, trying out a new recipe, or enjoying the sunshine with family and friends. 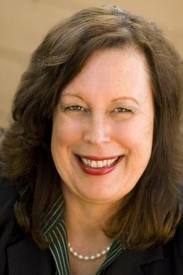 Shelly Gordon has been a PR professional for 20+ years and is the principal of G2 Communications Inc., a boutique PR firm in Silicon Valley. Shelly has created innovative PR and social media programs for nearly 40 companies in the San Francisco Bay Area and across the U.S. Going beyond launching products or writing press releases, Shelly works with her clients to improve their brand image, build trust in the marketplace, and attract new customers and investors. She generates media coverage, and sparks social media conversations by crafting stories that set her clients apart and by positioning executives as media experts for trends and topics related to their industries. As an executive coach and leadership consultant, Linda Thompson draws on more than 20 years of experience as a corporate vice president and director of human resources responsible for multiple areas of talent management and leadership/organizational development. Linda gives her clients the feedback they need to increase their effectiveness, leverage their strengths, and build self-awareness in how their behavior impacts others. She excels at helping clients create new possibilities to achieve breakthroughs—in their goals, relationships, and team dynamics. 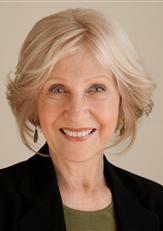 Linda holds a Bachelor's degree from Skidmore College and a Master's degree from the University of Pennsylvania. Her article, “Coaching Quicksand: Avoiding Hidden Dangers that Trap the Best of Us,” was published in the International Journal of Coaching in Organizations. In addition to her educational and business experience, she is a recipient of the YWCA Tribute to Women and Industry Award, which recognizes women leaders who represent leadership role models for others. At work, Sue is a principal program manager in Oracle's SPARC microprocessor design engineering group. She has held several program and project management positions in hardware and software engineering groups within Sun Microsystems for 20+ years. Sue is an expert in product life cycle and release process working with global teams. As a global citizen, she is a volunteer mentoring for new college graduates, a Oracle Women's Leadership (OWL) Santa Clara network and Secretary of a local Toastmasters Club. Outside of work, Sue enjoys bicycling (including bike commuting), trail running, yoga, alpine skiing, traveling, xeriscape gardening and time with her family. In this session Karen explores the concept of "street cred." She presents 5 strategies that companies use to build their credibility with customers, and then discusses how to apply these same strategies to building a personal brand. You may need street cred to convince an employer that you can do a job you've never done before. You may need it to show you're still relevant after a gap in your experience. Or, that you'll bring a certain discipline or rigor to the job, even though you didn't attend that four-year engineering program or have the MBA they might be looking for. Simply put, street cred can help convince an employer, partner, or customer to take a risk on you. You'll discover things you can do to make yourself larger than life in the eyes of future employers, business partners, customers, and even people you might be trying to hire for your team. Karen develops powerful women leaders in the tech industry with leadership coaching and consulting. Her blog, "Use Your Inside Voice," is about the intersection of parenting and leadership. She's also a frequent guest blogger on career development topics. You can find her online at http://www.karencatlin.com. Formerly, Karen was a vice president at Adobe Systems, where she led a shared services department within the office of the CTO, and most recently, the CEO of Athentica, a start-up in online learning. Earlier in her career, Karen was a vice president at Macromedia (acquired by Adobe Systems). Before that, she worked at GO Corporation, Hitachi Europe Limited, and Brown University. Karen received her bachelor of science degree in computer science from Brown University. Lucie M. Newcomb, The NewComm Global Group, Inc. The objective of this session is for participants to craft a personal global leadership statement, based on a worksheet/template provided, that reflects their aims, values and concrete next steps. This statement then serves as the foundation for their individual global leadership plan, should they wish to pursue it. Lucie Newcomb, M.A., is President and Chief Executive Officer of The NewComm Global Group, Inc., an international management consulting firm that provides accelerated Global Markets Leadership and Global Leadership Development programs ("Global Business From the Inside Out"). A former resident of South Africa and England, she has been co-creating opportunities for leaders, such as Cisco, IBM, Johnson & Johnson and select startups in Global Marketing Strategy; Change and Sustainability; and Global Leadership programs. Co-Founder of the GraceNet Mentoring program for women in technology, she is the Chief Mentor of the Sheadership™Mentoring program and is also a co-author of the forthcoming book, Women as Global Leaders. Lucie is a mentor for the U.S. State Department’s TechWomen program; US Market Access Center and 3 Plus International and is an accredited coach in the Hall-Tonna (Values) Inventory and the Leadership Practices Inventory (LPI). She holds a Master's degree in Leadership. Bonita Banducci’s Santa Clara University School of Engineering Graduate Program course “Gender and Engineering: Men and Women Building Effective Partnership in the Workplace” provides both men and women an understanding of themselves and each other and skills to work effectively with differences increasing productivity, innovation and their own and others’ promotability. On this panel, men who have taken Gender and Engineering share their stories of discovering and how to utilize the different competencies of the women they work with; the results they have produced together and the promotions that have come with the results. I was born and raised in Saudi Arabia; I moved to the states when I was 18. I completed my undergraduate degree in Electrical Engineering from San Jose State University in 2008. Currently I work for a small private company called Mountz Inc where Im a manager for the Design and Manufacturing Departments, and finishing my masters degree in Electrical Engineering from SCU. I have been recognized by the US government in the prestigious category of " Individuals with Advanced Degree or Exceptional Abilities" for a product that I had developed that was sold to the US Air Force. I have a patent pending. M.S. Engineering Management, is from Jeddah, Saudi Arabia and recently founded Chess Tag, Consulting and Business Services to increase web presence. He worked in San Francisco, California in a multicultural team to develop and execute digital marketing for B2C and B2B clients around the world before returning to Jeddah to work with National Commercial Bank (NCB) in Jeddah, as a business analyst and then starting Chess Tag. Motaz lived, studied and worked in the US for six years in the early 2000’s, and from 2009-2011 to gain engineering expertise, first-hand application of U.S. business practices, and American marketing strategy. He took Gender and Engineering earning his Engineering Management degree and committed to bringing the gender competence curriculum along with cultural awareness to Saudi Arabia. He is fluent in Arabic and English, and impressive in his ability to connect with people of any culture as well as gender. Noé has held technical and leadership positions in several diverse workplaces, from startups to Fortune 500 companies. He is an entrepreneur at heart, having worked with ventures throughout the Silicon Valley for over 10 years. He currently is finishing his Master’s at Santa Clara University and will be joining Cisco Systems upon graduation. Scott manages the world-wide strategy for Oracle Solaris. He has over 20 years of experience in large scale systems software and has worked at Oracle as an engineer, manager and now product manager for 11 years. As an engineer in the Oracle Database development team, he was one of the key designers of Oracle Secure Files. During his time as an engineering manager, he was responsible for increasing the size of the Solaris engineering team by about 50%. He also leads seminars for Landmark Worldwide. Working as a Principle Software Engineer in the EMC Flash Business Unit, worked at various storage products in EMC before taking this position. 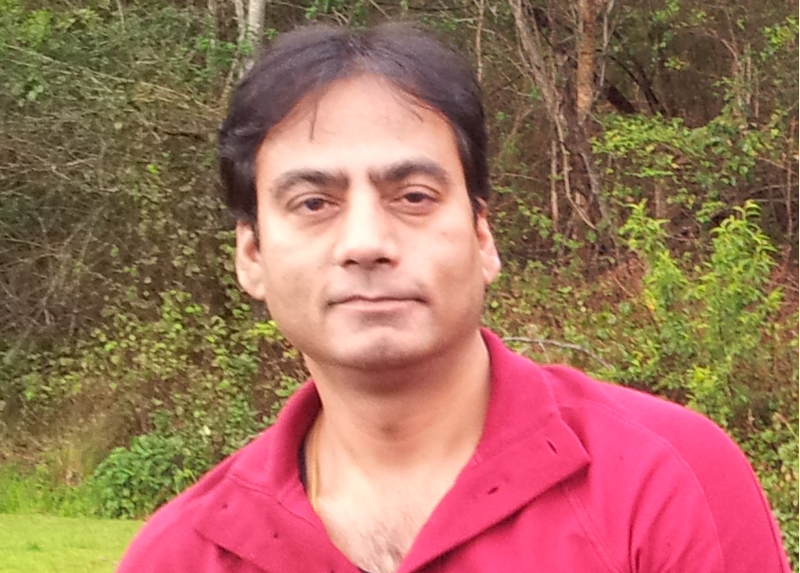 In the previous roles, Udaya has worked with Globally distributed teams. Interested in green technologies and frugal innovation related to mobile technologies. During the spare time, Udaya likes to read books, running , bicycling and spend time with family. Demands for connectivity everywhere require a new way of thinking and designing networks. Today’s wireless technology and networks simply aren’t going to cut it in a world with wearables, telematics, super high quality media, growing streaming content demands and a need for Internet everywhere. In a world where everything and everyone is connected, there is a need for wireless solutions that can contract and expand, move and adapt on demand. It is not enough to build intelligent protocols and applications, the very architecture of networks must ebb and flow – it must become fluid and it must deliver gigabit speeds. Redstone gigabit technology wipes the wireless architecture slate clean and starts over with a new omni-directional wireless architecture that delivers ubiquitous computing power through fluid-state networking. With the advent of such a powerful new wireless architecture and IT, telco and the Internet converging, many technologies will become obsolete and others will not be upgraded at the end of current lifecycles. Network architects, wireless and mobile engineers, etc… will need to understand what this new gigabit technology is and how to design and work with it. Now is the opportunity to start learning how you can be a part of the industry move to gigabit wireless. This session will give you the opportunity to learn about a new wireless architecture that is coming to market and what you can do to prepare. It will help you tailor work today so your career trajectory maps to the gigabit world of tomorrow. many of Cisco’s firsts: the industry’s first integrated service routing platform; IP Communications launch of the first IP Phone; and the first terabit router platforms. Advertising, Direct Marketing, Global Communications, Online Marketing and other related subjects. tactical marketing & business development, executive level strategy, communication, and presentation skills with a well-developed creative eye. His natural ability to find talented people and motivate them has contributed to his record of leading teams to landmark innovations in products and services. Technologies, Big Data, Social Networks, NewWeb, Web Services & Enterprise Platform solutions. He has been involved in ten start ups in his career, seven of which have been successful. How women can and should ‘drive’ leadership in Tech vs following leaders in Tech! Women tend to shy away from leading in the tech industry globally and follow the leaders. Why? Let’s arm our female workforce to lead! Linda Bernardi is an author, technology provocateur, entrepreneur/ex-CEO, strategist, investor, lecturer and board member. These combined functions enables Linda to have a true global perspective regarding cutting edge innovation around the globe. ProVoke, released November 2011, discusses the critical importance of global disruption in order to Innovate. Linda’s technology strategy firm , StraTerra Partners, since 2009 has been engaged with large enterprises and in her role as strategic advisor, Linda advises and works with clients in major changes in innovation strategy and adoption of new innovations. Linda’s core expertise and passion lies in Cloud Computing, Big Data Analytics and changes brought about the digital/social media. In as such, Linda functions as an entrepreneur in introducing new technologies in these areas to the market. Linda founded and ran her company ConnecTerra Inc in Cambridge, MA. In 2001 which was acquired in 2005, as the leading software company in the RFID arena. In addition to being an angel investor throughout the US, Linda is one of the very few (only female) in the India Angel Network, invests in Asia as well as Europe, hence has real time and unique awareness of innovation stemming from other continents. In Feb 2012, ProVoke was the textbook offered at University of Washington Bothell MBA program and Linda taught the course titled: Disruption Innovation & Innovation-based leadership to the 2nd year MBA students. Linda serves as board chair, member, advisor in a number of tech companies as well as not for profits globally. If you’re familiar with those loud voices inside that occasionally rage at you “I am not smart enough”, “I am a fake”, “I can’t be a leader here, it’s not my style”, “I should be better at this”…. and get frustrated by these on your path to success, then join your peers in this workshop! We’ll discuss self doubt and the critic voices, why and when it might show up, and some ways to begin to manage it to be more powerful and allow you to take the lead over it. We will focus on building your success and strength voices and how to achieve your goals and dreams without allowing the doubt to hold you back. Everyone can become subject to this pattern at times, but we can help ourselves and each other to reduce its negative impact, be happier more often and claim the success we know we’re capable of. The workshop brings to life a set of the activities found in the book of the same name (available on Amazon) and has you experiencing your own and others stories around success and doubt that will help you realize you’re not alone. Be ready to feel more resilient and capable when facing the day to day challenges of life. This topic will be held in two session, one focusing on identifying and diffusing the inner critic, the other on how to build your inner success story and resilience – leveraging your inner critic to create your definition of inner success! Stacey will be coaching a technical woman live in each session so you can watch and actively engage in the process. Stacey is an inspiring, energetic and authentic facilitator, coach, speaker and author – and the CEO of Connect Growth and Development. She is an advocate of bringing humanity back into the workplace. She has held positions over the last 20 years in evolutionary industries performing leadership, strategic and design vision roles in business, accounting and finance, consulting, client relations, software design and development. Stacey paired her degree in Business with a Masters in Applied Behavioral Science to create the “work love of her life”. Her approach is about whole-person intelligence – partnering the logical with the creative, the rational with the emotional, our brain and our body. She helps people make the connection between their inner and outer selves so they can bring all their superpowers to any endeavor, in work and life. Stacey is the author of Inner Critic, Inner Success: Claiming Your Own Success While Taming the Critic. She aspires to do more of the work she loves with more fantastic organizations, helping them discuss What Really Matters. There has been great shift in the methodology of Product development life cycle over the years. In the fast moving technology world it is a challenge to keep pace with the advancement and sustain the Technical career. Having worked in the various domains from Aerospace which had a development cycle close to decade to Web platform which has release every 2 weeks, Shubha would like to share her experiences on how to sustain your passion for technology and follow the pace of the Tech Industry. Shubha is a Product Manager at HP. She recently relocated from HP India to the United States. In her current role, Shubha handles the product management of various integration solutions for an HP product solution for HP Connected Drive, which provides a platform for accessing contents from various devices. Shubha has been in the IT industry over 18 years, where she managed development teams in various domains – Printers, Automotive, Security systems, Digital TV and Flight Simulation. She has worked with various international teams from the United States, Germany, Netherlands, Brazil and Spain. Before joining HP, Shubha had a long stint with Robert Bosch India and then with Philips. Shubha holds a degree in Engineering. She has done the Executive General Management program at Indian Institute of Management Bangalore. Her hobbies include Badminton, Athletics and Painting. Communities are transformed when they are connected to the Internet. The Internet is the grand equalizer opportunities for education, employment and information vital to daily life abound for individuals connected to the Internet. In today’s world, a person does not have equality if they are not using the Internet. Therefore, we believe that access to the Internet is a basic human need and needs to be recognized as a human right. Bringing Internet to the world is something that many organizations are working on. However there are many barriers, particularly around cost, technology-readiness and existing business interests which limit proliferation of solutions. We have designed a blueprint for creating One Connected World which will address most of the barriers in preventing true global connectivity. Our blueprint also includes a crowdsourcing model for tapping in to the power of communities and individuals to democratize the process of connecting the world. This session is an overview of what it takes to create a blueprint for a global technology initiative, a peek behind the scenes of our One Connected World initiative and a chance to understand how women in technology can support Universal Internet access. Ms. Montemayor has over 20 years in strategic and tactical marketing. For Cisco Systems, she managed communications for numerous go-to-market service provider and enterprise launches including routing, switching, security and VoIP technologies. She developed and implemented strategies for new commercial campaigns focused on security solutions and network foundation programs in the US, Canada, Japan, APAC, LATAM, European and emerging markets. She managed communications strategy for over 60 launches including many of Cisco’s firsts: the industry’s first integrated service routing platform; IP Communications launch of the first IP Phone; and the first terabit router platforms. Ms. Montemayor had the honor of serving as the marketing champion for both the India and Japan marketing teams with the launch of Cisco's Small Business organization. She is a life-long learner whose education includes Marketing Communications at San Jose State University and extensive industry coursework in Advertising, Direct Marketing, Global Communications, Online Marketing and other related subjects. Fabiola Addamo, a native of Italy and human rights activist, transformed herself into a brand. It took her about four year of diligent work behind the scenes. When she left Italy she was not sure what was possible in life, but the US opened up a variety of opportunities for her. She works in the Silicon Valley technology space, a perfect innovative environment for her curiosity to be stimulated. Her art work reflects her burning passion for an endless creativity. She makes art everyday and post it live on twitter, facebook and instagram to inspire others to invest in their own life passions or at least seek one. She also embeds inspiring stories and titles to all of her designs. She believes that the correct intersection of the arts with the technology world will create the greatest opportunity for women to gain true gender equality. Her life behavior and experiences is her artistic brand. Her art work makes immortal technology mentorship programs, entrepreneurial concepts, human rights, neuroscience concepts, emotions, human rights, spiritual wisdom. She travels around the world to observe reality from global cultural perspective, capture unique artistic designs and connect women worldwide. Her work appears in various media sources: newspapers, blogs, radio show. In 2014 she started integrating her work into technology companies; she utilizes them as gallery space to spread her voice into the world. What's next? Dreams have no limits. A native of Italy, Fabiola studied classical piano performance and obtained a degree from the Conservatory of Music Vincenzo Bellini. She then moved to the U.S. in 2001 and attended San Francisco State University obtaining a degree in Italian. 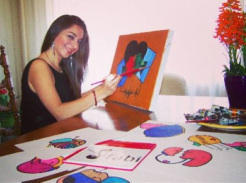 Fabi’s passion for painting grew out of a dream (Aug 8, 2010) inspired by her father. She literally woke up and started sketching. Shortly thereafter, she started attending the Art Gallery of Fine Arts of Susan Miller in San Francisco to master oil painting and other techniques. She paints because she thinks in images and could not imagine life without colors. She also enjoys painting her dreams and visual thoughts. She is currently artist in residence at IMVU tech company, in Mountain View, California and Calvin Charles Gallery in Scottsdale, Arizona. The world’s information is doubling every two years. In 2011 , a staggering 1.8 zettabytes was generated and by 2020 the world will generate 50 times more this amount of information. The objective is to analyze and determine power consumption of applications and data servers. Highlight ways to build a cost effective, greener environment with optimized resource utilization. Dhanashri is a Principal Software Engineer at Symantec . In her current role, she works on their backup and recovery products . She is passionate about Green Technologies . Dhanashri has been in the IT industry for over 13 years , where she has lead various international teams in the past in the Storage domain . She holds a degree in Engineering . Her hobbies include Badminton and painting . Technical women are not only incredibly talented technologists, team leaders and managers, but also hugely talented in product design, vision and exemplary in execution. All done in environments which inspires connected and collaborative teams. However, in a startup OR a medium/large company, women are missing in action (generally) when it comes to fierce leadership in setting vision and executing the future direction of companies. Why is it that 99% of the time we see men in such driving positions? What enables the fierceness in men and why do women shy away from being fierce and aggressive when situations demand such behavior? Particularly, in dealing with resistances and pushing forward passionately with beliefs and ideas about new products, vision and direction, seems we would rather have a man lead the way? This session is intended as an active brainstorming session for us to candidly discuss this transformation…. Let’s change the world together. In the Women Can Negotiate workshop we will remind women of our history, why we still need to learn the tools and use negotiation to gain equity and contribute more deeply for a world that works for everyone. Participants have shared that in the first week following the workshop, they negotiated and successfully gained what they were seeking, beyond their expectations. Negotiation is a life skill, a learning journey, calls on and requires self-care. We discuss why women don’t negotiate, who has been saying we can’t and how to break through the barriers that are internal as well as external. We will wake those negotiating skills that women already use and make them stronger. Women can negotiate: we have the ability and the right. We have distilled information from the old school of negotiating to the new, where women weigh in. We will share resources where women can find even more information, coaching and tools for negotiating. Through the self-reflective workshop along with use of the tools, women give themselves permission to act and get more of what they want. We simplify negotiating into 4 steps: Preparation: identify what you want, plan and strategize your actions, understand the scope of the Presentation, learn how to make the Ask, and finally how to give and get Acceptance, and take action. You will have worksheets and plans of action. You will be invited to check back to evaluate and share your successes to empower other women. Jacqueline Janssen successfully negotiated the sale of six of the eight business she founded and co-founded. She has negotiated hundreds of contracts with clients, and between clients and incoming leaders. Jacqueline leads Women Can Negotiate through the YWCA San Francisco/Marin and the Volunteer Center of Sonoma County. Since 1996 Jacqueline has been the CEO of Janssen & Associates providing executive recruiting, consultant placement and transition consulting for nonprofits and regional, national and international corporations, including IBM, Morgan Stanley Dean Witter and others in a variety of sectors. Jacqueline also provides career consulting to empower women. Women Can Negotiate is a program of Janssen & Associates. Jacqueline is an award winning author, a member of IAFFE, International Association for Feminist Economics, the Network of Nonprofit Search Consultants and a graduate of UC Berkeley. She lives in the Bay Area, California. In the first section, you will learn what negotiating is and is not, the most effective negotiating tools, how to set your goals and practice your skills. In the second section, you will hear what you will gain over the course of your career by using negotiating skills, learn additional tools, and methods for practicing and succeeding in your negotiations. a. Why women don’t negotiate or do they? Writing a resume is a painful necessity for many people. Layoffs, bad work environments, boredom and promotional opportunities require you put your work history in writing. Recruiters receive literally 100's of resumes for a single open position. Your resume needs to stand out. In this session we'll go through the stages of writing an impactful and effective resume. The session will include identifying key words to include in your resume, creating statements about the impact you had at your previous and current position, the importance of your LinkedIn profile and presenting your technical credentials. Jerri Barrett is the Vice President of Outreach for the SENS Research Foundation, a nonprofit biological research foundation focused on curing the diseases of aging. In her role Jerri leads the business development, donor relations and marketing functions of the organization. In addition to her work at SENS Research Foundation Jerri provides resume writing services. She is also the Chief Marketing Officer for Global Tech Women. Prior to joining SENS Research Foundation, Jerri was the Vice President of Marketing for the Anita Borg Institute for Women and Technology. While there she created the Grace Hopper Celebration's Resume Clinic which provided resume editing to over 800 technical women attending the conference. Before she moved to the nonprofit sector, Jerri worked in the telecommunications and high tech sector for both startups and large tech companies. Jerri has an MBA in Marketing from the William E. Simon School of Business Administration at the University of Rochester and a Bachelor's degree in Biology from Mount Holyoke College.